What is the philosophy of religion? How can we distinguish it from theology on the one hand and the psychology/sociology of religious belief on the other? What does it mean to describe God as 'eternal'? And should religious people want there to be good arguments for the existence of God, or is religious belief only authentic in the absence of these good arguments? 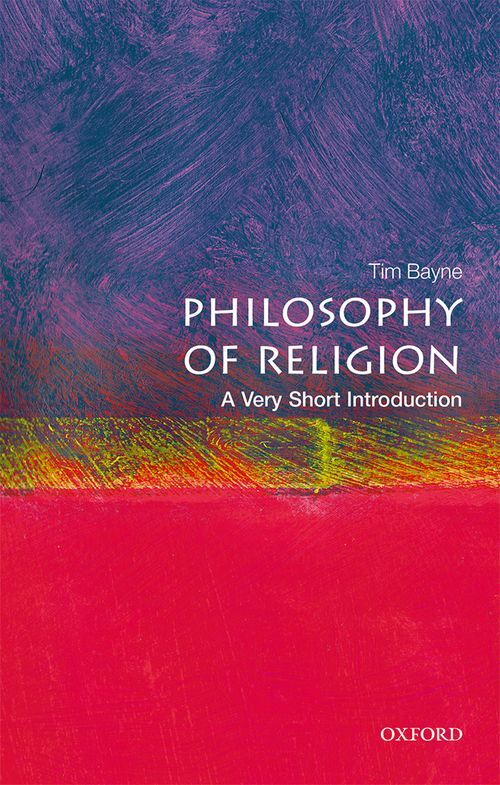 In this Very Short Introduction Tim Bayne introduces the field of philosophy of religion, and engages with some of the most burning questions that philosophers discuss. Considering how 'religion' should be defined, and whether we even need to be able to define it in order to engage in the philosophy of religion, he goes on to discuss whether the existence of God matters. Exploring the problem of evil, Bayne also debates the connection between faith and reason, and the related question of what role reason should play in religious contexts. Shedding light on the relationship between science and religion, Bayne finishes by considering the topics of reincarnation and the afterlife. 1: What is the philosophy of religion? Tim Bayne is Professor of Philosophy at Monash University (Melbourne), having taught previously at Macquarie University, the University of Western Ontario, the University of Manchester and the University of Oxford. He has published widely in the philosophy of mind and the philosophy of religion, and is the author of The Unity of Consciousness (OUP, 2010) and Thought: A Very Short Introduction (OUP, 2013).